The T Box is based at the Southbourne Farm Shop. We can provide a flexible, bespoke mobile catering experience, suitable for both private and corporate events throughout Surrey and West Sussex. The T Box is part of The Vintage Food Truck Catering Company. 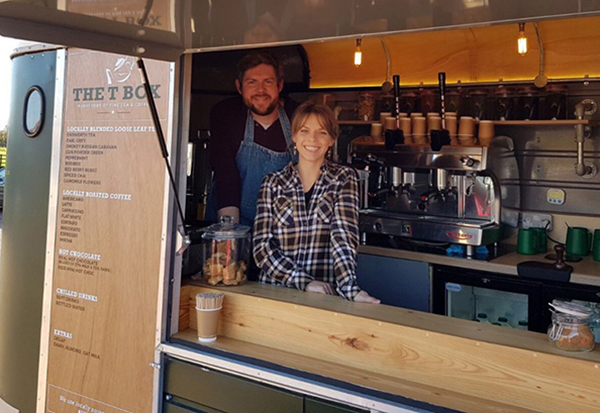 Paddy & Stef launched The T Box in 2017. We at The T Box believe that locally sourced, lovingly homemade food will always taste better when served with a smile! We can taylor catering packages to suit your event from locally blended tea, with high quality locally roasted coffee and freshly baked cakes to sweet and savory canapes paired with good champagne.